I have an exercise to write a function which upsamples or downsamples a signal by a factor of F (integer) using a FIR filter windowed with a Kaiser window function. 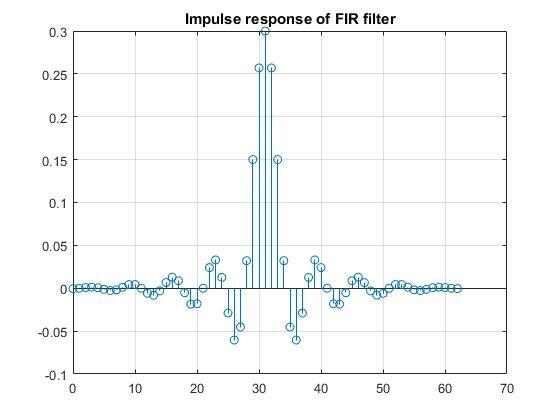 Exercise I had last week included us to write a function which returns an impulse response of such filter so we can use it in this exercise rather than using a built-in function from MATLAB. 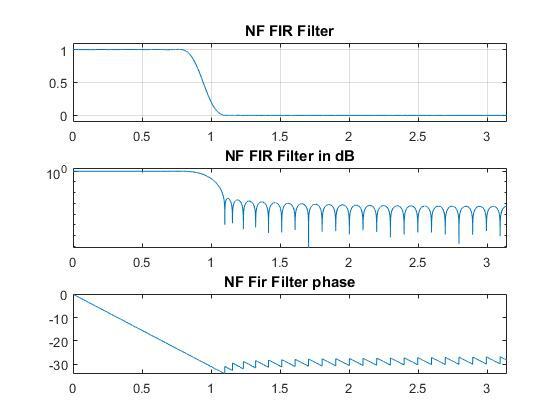 The function h = firkaiser(Wc, Bt, As, Ap) creates a NF filter with central frequency Wc, Bt which is a band where the filter cuts off, and attenuations in the stopband and passband. 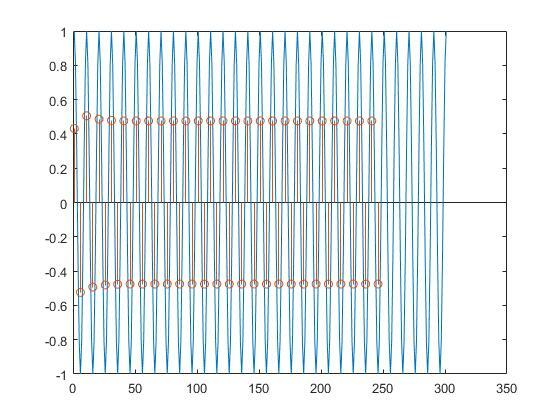 Using a standard procedure of calculating M (length of impulse response) and windowing an ideal filter i have created this function. Here is an example of a NF FIR filter created by this function just to make sure the problem isn't in the filter itself. The blue one is again the original signal. In the first picture i needed to stretch the original so as to have a proper comparison and the same for the downsampled in the second picture. How can i fix this? Or is it fixable at all? Browse other questions tagged matlab discrete-signals sampling fir downsampling or ask your own question. How to design a FIR low pass filter and force a subset of filter coefficients to 0? 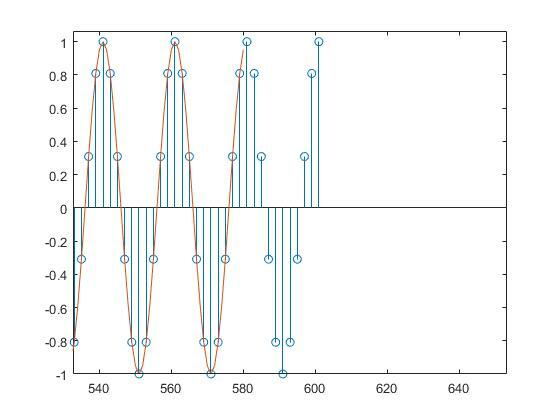 Bandpass overshoots at the beginning and end of signal: why?